This is one of the coolest campers we have worked on. The client used to live in a Tiny Home. Now he has moved into a camper that is about the same size. 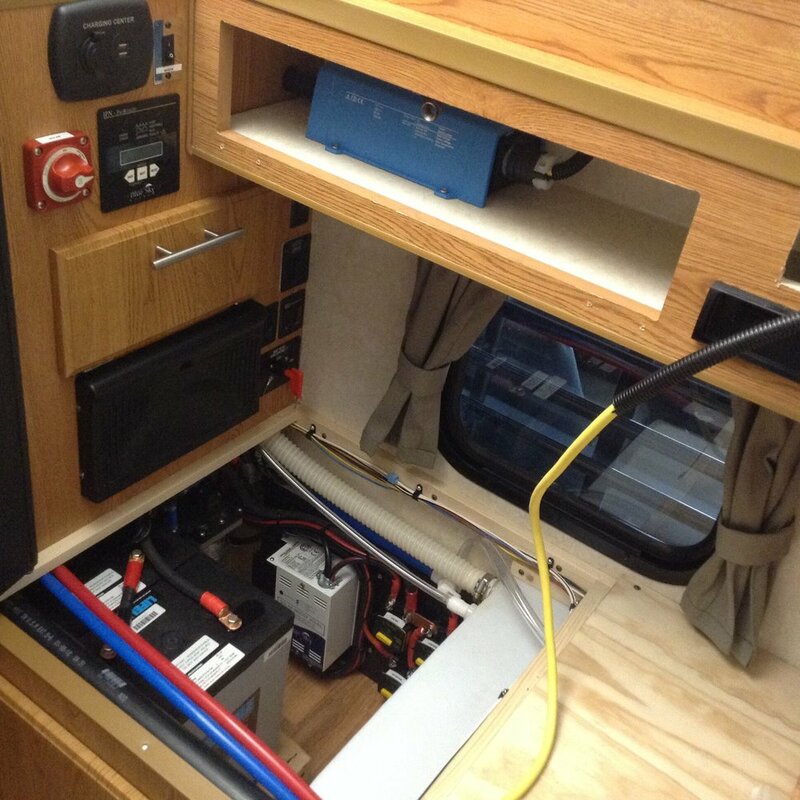 We installed 540 Watts of solar power and substantially upgraded his battery bank. 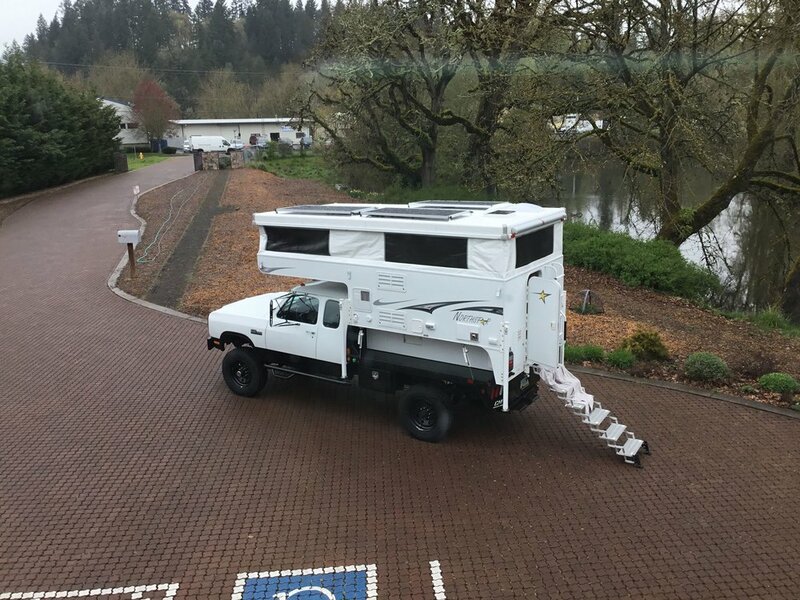 This camper is designed to be very energy (and space) efficient, so the solar power we installed should go a long way towards powering his light DC loads.